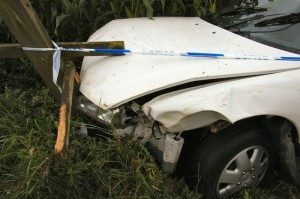 What is Your Risk of Being in a Car Accident in Homestead and Florida? Florida is known as being one of the worst states in the nation for pedestrian accidents, with 660 pedestrian fatalities in 2013 alone and many pedestrians injured in intersection accidents and other collisions in Homestead and across the state. These statistics make Florida one of the most deadly in the nation for pedestrians. The risk of dying in a car collision in Florida is 1 in 8,123 while the risk of being in a car collision that leads to a fatality is 1 in 3,972. Compare this to the safest state, Washington, DC, where the risk of dying in a car accident is 1 in 32,322 and the risk of being involved in a fatal accident is 1 in 14,053. There are many things that contribute to Florida’s high risk of accidents. For example, a large population and busy streets certainly make driving more dangerous. In addition, many of the streets in Homestead and other parts of South Florida were developed in the early decades of the 20th century, when ideas about safety were different and local populations were much smaller. By increasing traffic on the streets. During the summer, tourism season as well as more children home from school means there is more traffic on the roads. In addition, the beautiful weather can mean that there are more pedestrians, bicyclists, and motorcyclists out on the road, all increasing traffic flow and potentially creating a risk for car collisions. By increasing glare. Increased glare can harm visibility. You may not be able to see pedestrians, other cars, or even traffic if there is a strong glare. During the summer months, it’s important to wear quality sunglasses when driving during peak daylight hours and to use your visors judiciously so you can enjoy the best visibility possible. By creating more events. Summertime months mean special events at amusement parks and across the southern Florida region. More events, festivals, fairs, and special holidays, however, can mean even more traffic as people drive to the attractions. You may want to address this issue by checking traffic conditions before you go and staying alert to the events in your community so you can predict when heavy traffic is most likely. By affecting your car. Warm weather can impact your car’s engine and can lead to overheating. It can also cause extra wear on tires, increasing your risk of a tire blowout. Older cars may be especially at risk, so it is important to get a tune-up with a trusted mechanic before the hottest part of the summer hits. If you have been injured in a car accident in Homestead or anywhere in South Florida and you believe your accident may have been caused by someone’s negligence – and not just Florida summers – you can contact Flaxman Law Group at any time for a free consultation. Our legal team has more than six decades of combined experience and we’d be happy to put these years of client care to work on your case.